A housewarming gift for Steve Niles. Steve's one of the good guys in comics, and has become a good online friend. 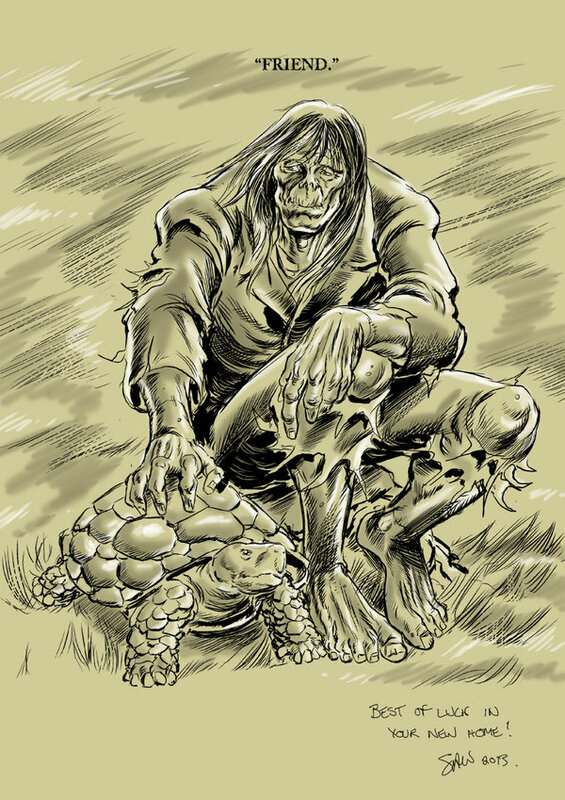 This was a gift to say thanks... featuring the Frankenstein Monster and Steve's awesome pet, Gil. Discotronic Funk Commandos: M.O.H.A.W.K. anarchy! First time I've ever shown off these guys... meet M.O.H.A.W.K. 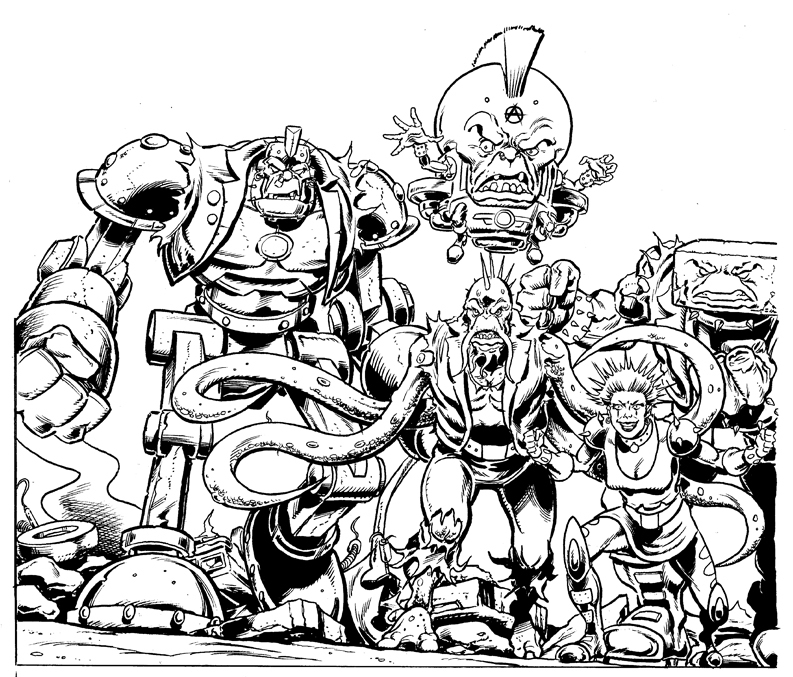 (a parody homage to two of my favourite villains, MODOK and the Mekon) and his gang of Anarchists: Steampunk, Squid Vicious, Mad Nancy and Blockhead. 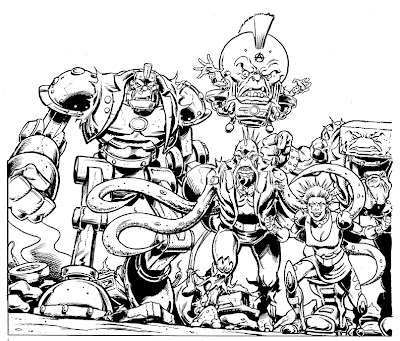 These were planned to be the Discotronic Funk Commandos villains in the first issue. Massive Oval Headed Anarchist Wot Kills!! All characters are ™& © 2013 Simon A. Williams.